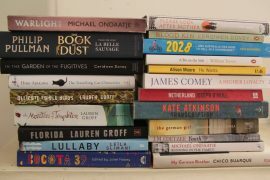 profile authors nominated for the long list of the Independent Foreign Fiction Prize 2015 it is the Germans who have dominated with five authors making the cut. 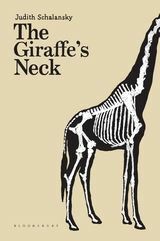 It was a delight to see one of my favourite books from last year, The Giraffe’s Neck by Judith Schalansky, in the final 15. But reunification causes a seismic change in the environmental influences affecting her. To Frau Lohmark, the new order is flawed and weakening, but as its impact widens, she is faced with the reality of her own beliefs and the application of Darwin’s principles to her life: adapt or die. Schlansky is an elegant and perceptive writer. Her carefully crafted book will resonate in worlds far beyond the sound of the school bell. Also on the long list is Colombian writer Tomas Gonzales whose magical In the Beginning was The Sea reviewed by Stillnotfussed in December last year. The review of Murakami’s Colorless Tsukuru Tazaki and his Years of Pilgrimage appeared here in October 2014. You can read the full long list and the judge’s comments about each here.